Rice is the staple diet across large parts of South & East India. Traditionally, one has been educated that if you need to lose weight you need to shift from Rice to Rotis. A typical South Indian housewife may struggle to make rotis every meal, but now there is a simple solution – Dalia. (Bulgur or Broken Wheat in English) Commonly known as Dalia in Hindi & Samba Rice in Tamil, Dalia is not just good for weight loss but also a great source of proteins, vitamin B1, vitamin B2 and fibre. And its easy to cook – just replace it with Rice. Not just for breakfast : Dalia Upma is a popular and healthy breakfast option – not just for Upma but for Idli & Dosas also. You can substitute Daliya instead of Rice in all preparations. Cook it in the cooker with 2 glasses of water for 3 steams and eat it with Sambar & Rasam or use it for making Khichdi, Pulao or even Biriyani. You can even make your Kheer using Daliya. Nutrient Content: Dalia is rich in proteins, minerals and vitamins. It provides high concentrate of Vitamin B complex, especially Riboflavin, Thiamine and Niacin. It is rich In Protein. Protein takes long to digest, suppresses hunger pangs, boosts metabolism and activates weight regulating hormones. A higher protein intake actually increases levels of the satiety (appetite-reducing hormones), while reducing your levels of the hunger hormone ghrelin. When compared with white Rice, Dalia scores higher on the following nutritional aspects – 2X Protein, 3X Fibre, 6X Level of Potassium and lesser than half the Sodium that White Rice has. Diabetes Control : Dalia helps in combating diabetes by controlling the blood sugar levels. People suffering from diabetes demand nutritional and healthy food dosages in small amount and regular intervals. The Glycemic index (GI) is a measure of how quickly a food can make your blood sugar (glucose) rise. Only foods that contain carbohydrates have a GI index. Foods such as oils, fats, and meats do not have a GI index. In general, low GI foods increase glucose slowly in your body. Foods with a high GI increase blood glucose quickly. If you have diabetes high GI foods can make it harder to control diabetes. Daliya has very low glycemic index which make it perfect for people suffering from Diabetes. Carbs with low GI value (55 or less) are digested, absorbed and metabolised slowly and cause a gradual rise in blood glucose. Daliya being low in GI does not get absorbed quickly and enables slow release of sugar that aid weight loss too. Fibre content: Dalia is also rich in fibre content. It has 3X the Fibre content of White Rice. This aids in digestion. So, if you are facing constipation issues then Dalia will help in smooth bowel movement.The low GI index of Dalia manages the energy level of human body through slow release of glucose after the breaking of food during digestion. Like millets, it makes you feel energized and more full for longer intervals of time. In comparison, after a heavy meal of rice one tends to feel hungry in a few hrs. The high fibre content in Dalia delays digestion. Because the output of sugar is not in big quantum, it is not converted into fat. Weight Loss: Regular intake of Dalia prevents unnecessary overeating and binging. Those who switched over to Dalia over an extended period have been able to witness a feeling of lightness and healthy weight loss tendencies. In addition to all these benefits, Dalia does not contain artificial fragrances, colours or sulphates. It can also be cooked with spices and vegetables, thereby creating a healthy, nutritious and well balanced breakfast diet. 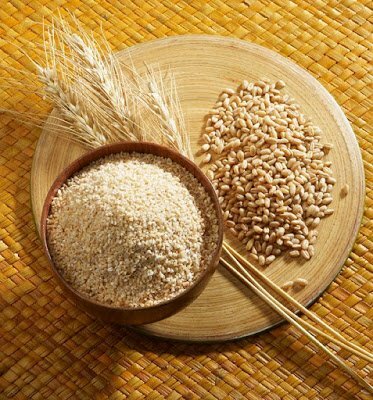 So look no further start the journey of looking at Rice substitutes – Dalia and Millets are great healthy options.